CCM Street Hockey Goalie Kit | Sports Etc. 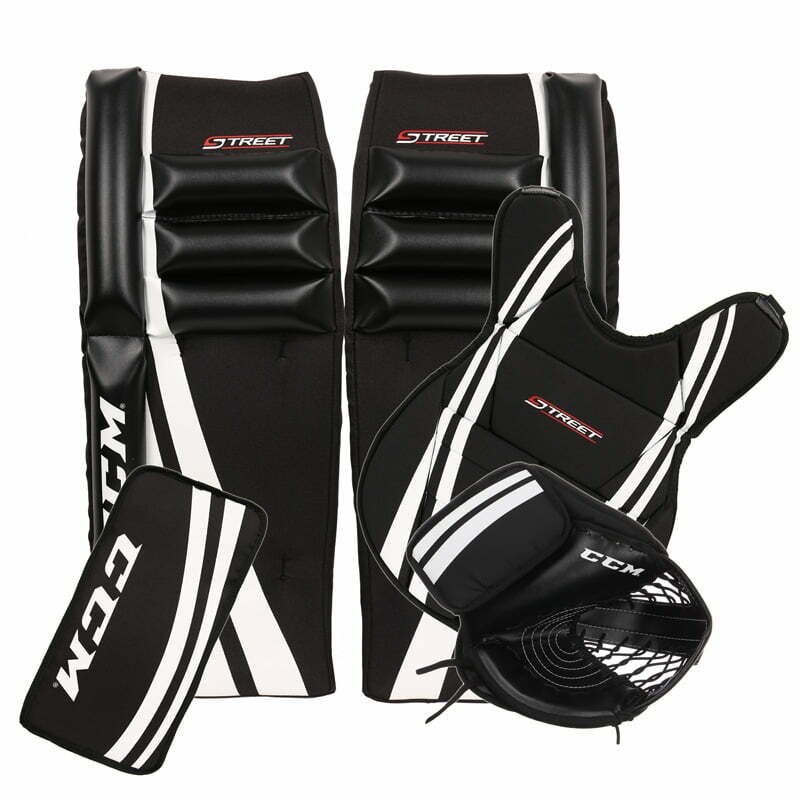 The CCM Street Goalie Kit gives you everything you need to rule the street. Rugged and durable leg pads, catcher, blocker and chest protector will keep you safe and secure while keeping the pucks or balls from the net.